In conversation with Craig Stevenson | theraceforthecafe.com . Ironman triathlete, exercise physiologist and high performance coach - I needed to talk to this guy. The idea to write this post came to me as a result of a brief converstaion that I had with Craig at a Brother/NRG/DriverPlan team aero testing session at Derby veldrome back in June which I wrote a blog post on HERE Gettingaero I realised within a couple of minutes of meeting him that Craig was not only an extremely knowledgable guy but also very open and generous with that knowledge. I kept in touch with Craig after our first meeting and he agreed to share some of his extensive experience on the blog. This post is based on extracts from an Email interview that I did with him recently. I noticed Craig's bike set up before I had spoken to him and thought to myself 'this fella is serious' - a Specialized S-Works Shiv with SRAM E-Tap, not messing about isn't Craig. Q How big a factor in a successful IM is equipment and aerodynamics on the bike? 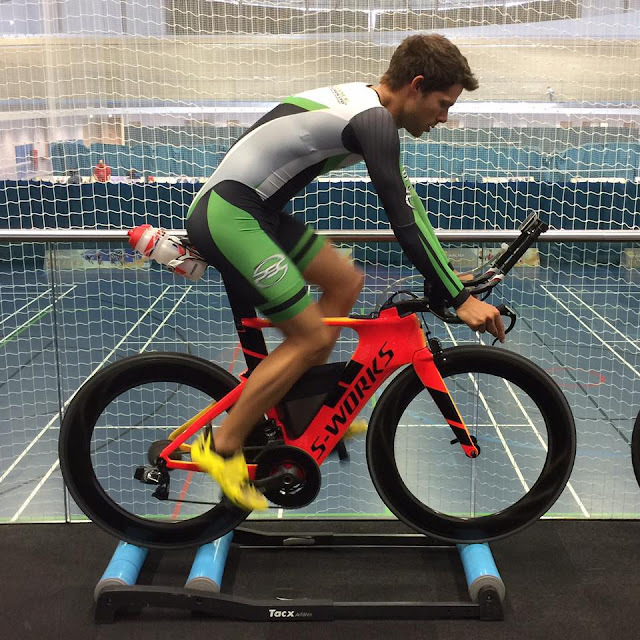 I have been working with Dan at the Wattshop WattShop to get this right as when you are on the bike for so long having the right equipment and aero position is vital to get the best result. Small improvements of 2-3w can make minutes of difference over the 112 miles of an Ironman distance bike leg. I think from my starting position to end position through the process we are probably talking about 6-7minute improvement over the IM bike course which you can look at in different ways. Either I take it as a “I can go faster” or I go the same speed and save that 5% extra energy for the run. Training is always going to be the biggest element but an extra 5% can't be ignored. Q What is the biggest mistake that you see IM and other ultra endurance athletes making? I think there are possibly two things here. 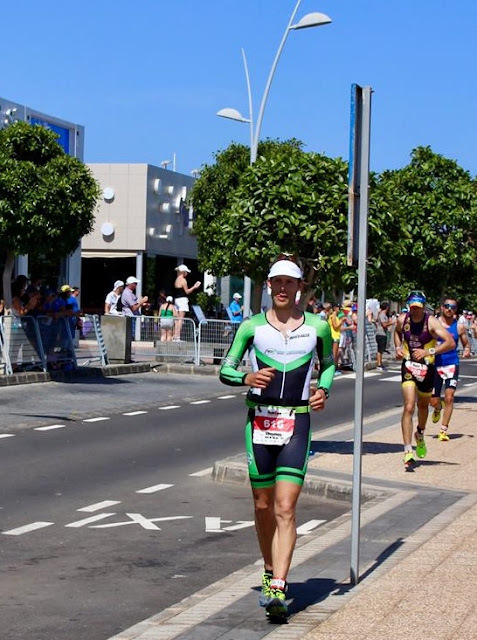 When athletes start on the “ultra endurance”path, getting their fuelling and nutrition right and finding a strategy that works for the duration of the event is something that people find hard to get right (myself included). What sits well in a moderate to long training session doesn’t always sit right in an ultra endurance event like Ironman. Individual experience of this is key and spending time dialling it in is certainly time well spent. The second thing that really stands out is pacing, especially on hilly bike courses, everyone seems to go crazy when climbing. In my last event I must have had at least fifty athletes pass me during the first climb. I can remember looking down at my power meter thinking “wow, there are a lot of strong riders here” I was climbing at 4.2w/kg getting passed like I was stationary. To my relief it was just pacing as I then passed them again later on the bike course when they had blown up. Q How do you ensure that your super efficient aero position on the bike doesn't compromise your ability to run off it? 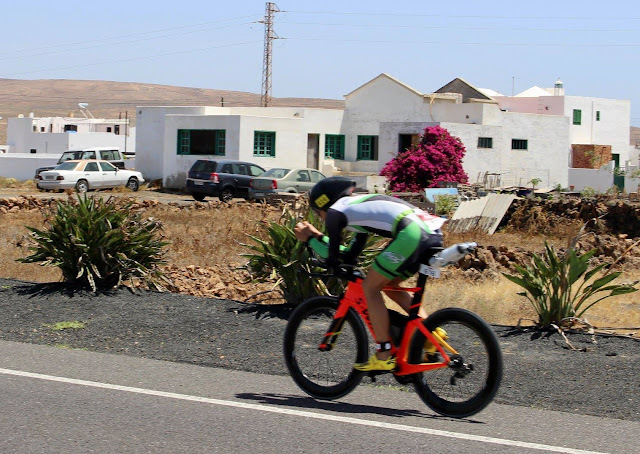 Craig on the run at Ironman Lanzarote, here suffering on the section along Puerto Del Carmen sea front, often described as being flat the Lanza IM run is undulating and very tough. Q How important do you consider strength and conditioning work to be? This really depends on a number of factors from age, injury profile and sport to an athletes strengths/weaknesses, time availability for training and targeted adaptation. I suppose a very simple way of looking at it is that you only have so much time and energy in any given week available to train so you must use this time/energy on areas that will yield the greatest benefit to your training and development. In relation to the athletes we work with through the performance centre OTE from beginner to world tour, I would say about 50% of athletes do some form of specific strength training and about 80% do conditioning work such as core/stability. It certainly has benefits and is worth doing if you can fit it in. 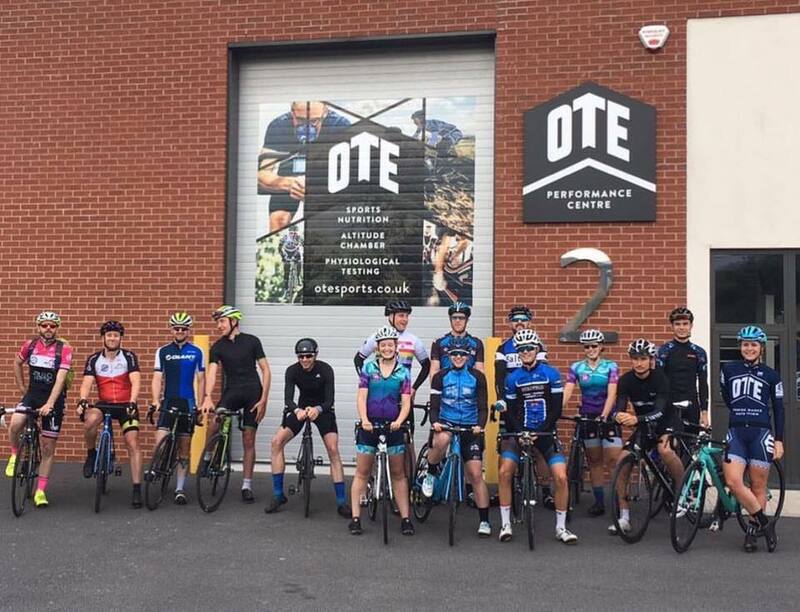 Craig in his work environment coaching athletes at the OTE performance centre in Leeds OTEPerformance This is the hypoxic altitude chamber (the only commercial one in the north of England) capable of simulating an altitude of 5,750 metres and up to 30 deg C temperatures. Q You work at an athlete high performance centre - to what extent do you use the facilities there to improve your own performance? Having full access to our testing facilities and environmental chamber enables me to make the most of the little time I have. I usually have 8-10 hours a week for all three disciplines which means my training has to be right. By testing regularly I can see where the potential for improvement is and how to access it most effectively. I can then re-test and see if everything worked as expected making changes as I go along meaning I am probably running a full CPET (cardio pulmonary exercise test or ramp test) with blood work every 12 weeks. 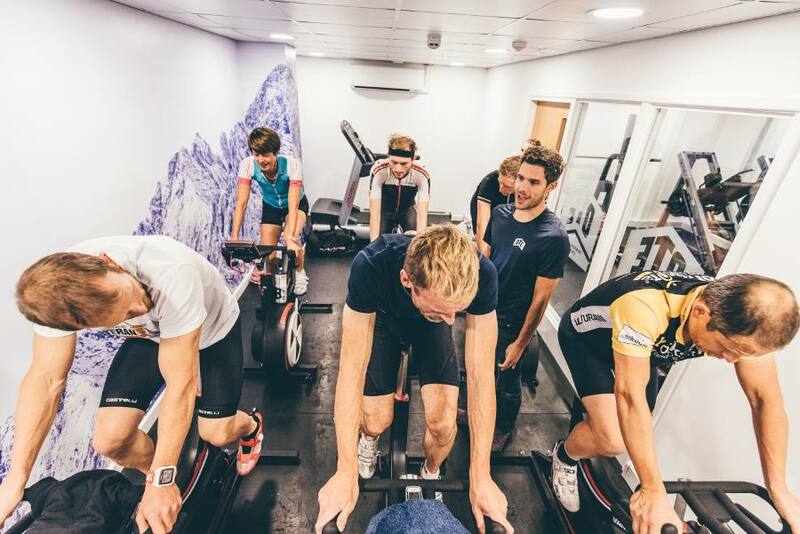 Q What are the benefits for athletes from the use of the hypoxic chamber? Slower Fatigue- Increased resistance to intensive training helping you train and compete harder. Improved recovery- Both recovery rates from efforts within a session and recovery between sessions is improved reducing the chance of fatigue related injury and helping athletes stay on form. Increased RSA- Increased high end sprint repeatability. Studies have shown <38% greater adaptation vs sea level training. 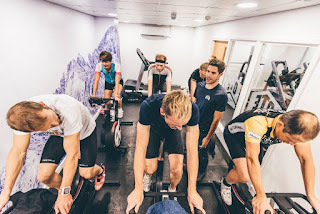 Increased time efficiency- As your body has to work harder in a hypoxic environment for the same effort/speed or power, a 30min IHT session can stress your cardiovascular system to the same degree as a 60min session in normoxia. Enhanced recovery for injured athletes– Maintaining fitness through injury is possible as a lower work load in hypoxia is required. Research suggests that 35% 1RM in hypoxia yield similar benefit to 80% 1RMP in normoxia. Q. As someone who has a demanding job and a busy life - what would a 'typical' training week look like for you as you approached an Ironman - say 4 weeks out? Tuesday PM - Interval run session; Warm up then of 2 sets of 3x3min VO2 efforts (Above 5k pace) with a short 60s recovery between efforts and 3 min between sets. Thursday – Interval run session; warm up then 5x10min ST efforts with a 2min recovery. 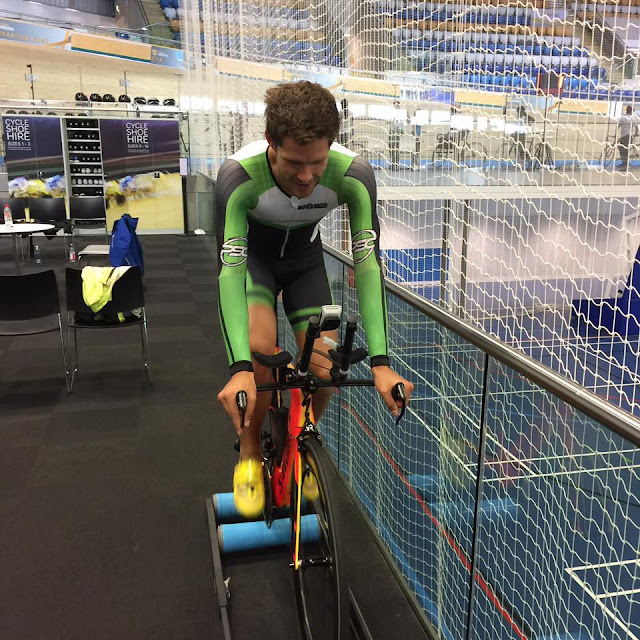 Friday PM – Interval bike session; Warm up then of 2 sets of 3x3min VO2 efforts (Above 20min TT pace) with a short 60s recovery between efforts and 3 min between sets. Q Final question Craig - What do you think will be the next big thing in endurance training? I think the biggest development will be the emergence of smart reactive training systems. I am a part of team that has been developing a computer system called “Vitfor” that monitors what is going on with our athletes by analysing changes in sleep quality (duration and actual quality), energy, fatigue (both mental and physical), training quality and adaptation against the specific training and racing they are doing. This is a tool that we use to aid our coaching and monitoring of athletes we work with and just last month we launched the first publicly available version which is already showing great promise.